Baxi Group has teamed up with central heating and property maintenance contractor, PH Jones, to supply new energy efficient boilers to selected properties. Baxi Group and PH Jones will work alongside ALMO (Arms Length Management Organisation) Stevenage Homes to improve energy efficiency in various properties on behalf of Stevenage Borough Council. The project aims to bring all rented properties belonging to Stevenage Homes up to the Decent Homes Standard by 2013, which is by no means a minor task. As such, Baxi Group required the services of a reliable and experienced national firm to carry out much of the work – and PH Jones would appear to fit the bill. PH Jones provides maintenance services, repairs and ad-hoc central heating installations to some 7,500 properties for Stevenage Homes, so the company’s partnership with Baxi Group was virtually ready-made. Derek Corbishley, the Social Housing Maintenance Director for PH Jones, said: “We are delighted to have become Baxi Group’s agent for this project. They have provided us with all the parts, tools and technical information to install new boilers and to ensure a first-time fix on boiler maintenance jobs. We can, therefore, work quickly and effectively in residents’ homes with minimum inconvenience to them”. PH Jones will have a range of Baxi boilers at their disposal when setting about the task of upgrading homes in Stevenage. The Baxi Solo HE, Baxi Duo-tec Combi HE and the Baxi Megaflo System HE are all expected to feature in the project and will be chosen according to the type of property being upgraded. 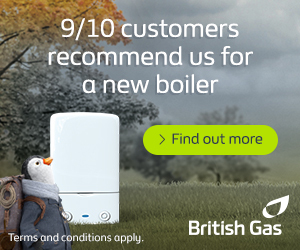 It is thought the versatile Baxi Solo HE will be used in the majority of properties, whilst other boiler types will be reserved for specialist installations. The project leader of Stevenage Homes, Paul O’Donnell, has stressed the importance of Baxi’s partnership with PH Jones whilst reiterating the need for upgraded properties. Mr O’Donnell said: “Replacing old inefficient boilers with new high efficiency models helps to lower their fuel use and save them [the tenants] money”. The Decent Homes Standard was introduced by the UK Government in 2000 as a way older homes could enjoy modern standards in respect to heating, facilities and energy efficiency.